Enjoy hygienically clean laundry for sensitive skin. The Hygiene Laundry Rinse “free from colourants and fragrances” is dermatologically tested and removes more than 99.9 per cent of specific bacteria, fungi, and viruses in just one rinse cycle. Protect yourself and your family from infection and re-infection with skin fungi and bacteria that can be transmitted when washing items together. Many modern fabrics and delicate items can only be washed at up to 40°C. However, only a boil wash can ensure that your laundry is free of germs. IMPRESAN Hygiene Laundry Rinse “free from fragrances and colourants” offers the solution to this predicament. It ensures hygienically clean laundry in only one rinse cycle, even with a cold wash.
As the name suggests, IMPRESAN Hygiene Laundry Rinse “Free from fragrances and colourants” contains no scents, perfumes, or colourants. It is skin- and allergy-friendly. Skin tolerance to treated textiles is dermatologically confirmed. of specific bacteria, fungi, and viruses*. For hygienically clean and comfortable laundry. Healthy hygiene from the romper to the favourite superhero shirt. 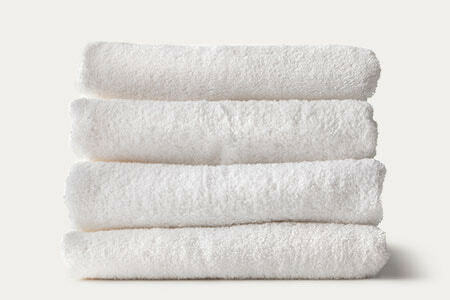 Pleasant hygiene for towels, bath mats, sport and swim wear. ATTENTION:Causes skin irritation. Causes serious eye irritation. If medical advice is needed, have product container or label at hand. Keep out of reach of children. Eye protection/face protection. Wash … thoroughly after handling. IF IN EYES: Rinse cautiously with water for several minutes. Remove contact lenses, if present and easy to do. Continue rinsing. If eye irritation persists: Get medical advice/attention. If skin irritation occurs: Get medical advice/attention. Dispose of content/container in compliance with local and national regulations.